The school, is a co-ed residential and non-residential institution, The school is run by the 'Woodbridge Educational Society' and by a team of one of the most highly dedicated and experienced teachers , who have taken experience from one of the most prestigious schools of the country and have long dedicated their lives to childhood education. 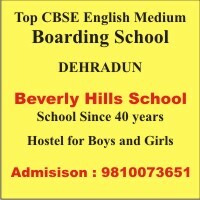 Presently the school is up to Class X and is affiliated to the Central Board Of Secondary Education (Affiliation No. 3530347; School No. 57246) It is moreover a joint family of children from all over the globe, and from a wide spectrum of faiths, ethnicities, and world views.